Heat coconut oil in a pot over medium heat and add chopped veggies, tomato paste and harissa. Cook for about 10 minutes or until veggies are cooked for your liking. Season with Himalayan salt and set aside. For the porridge, add oats and hot water in another pot. Cook over low heat for about 5 minutes, keep stirring. 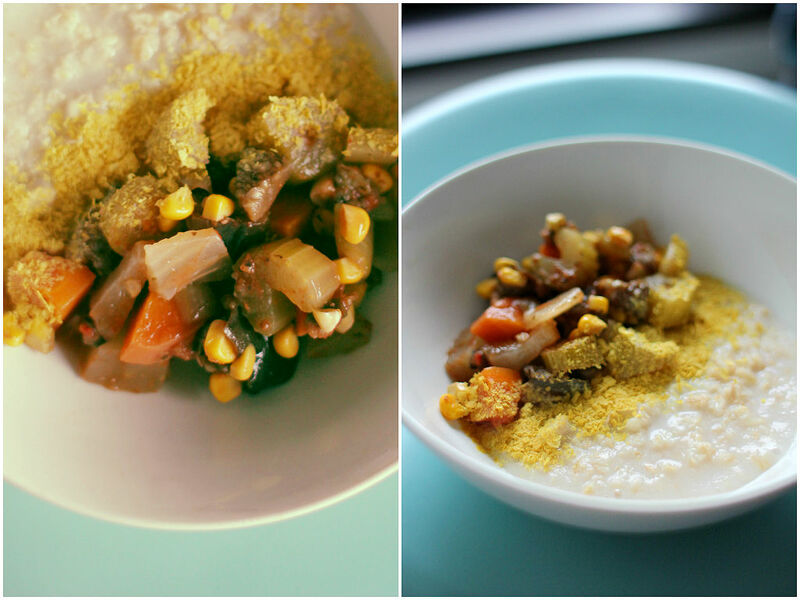 Ladle porridge into a bowl, top with cooked vegetables and sprinkle nutritional yeast. Serve warm.